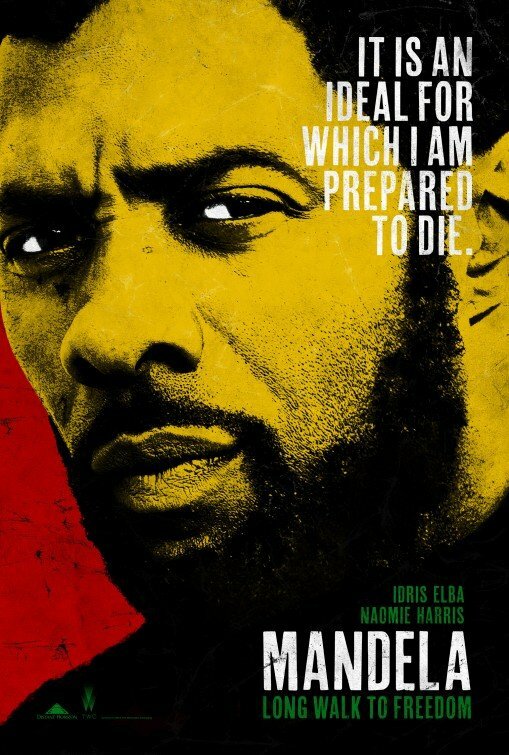 Mandela: Long Walk to Freedom, a Nelson Mandela biopic presented at Toronto Film Festival, does not shy away from the less flattering aspects of his character, according to British star Idris Elba. “It was important we had both sides, the good and the bad,” said Idris Elba. Early scenes in Justin Chadwick’s film show Nelson Mandela as a womanizer who was violent to his first wife Evelyn. “I didn’t want to deface Mr. Mandela in any way,” Idris Elba continued. Idris Elba was speaking at the Toronto Film Festival, where Mandela: Long Walk to Freedom had its world premiere this weekend. Based on the former South African president’s autobiography, the film charts his early life as a lawyer, his political activism and the 27 years of imprisonment that preceded his democratic election in 1994. Naomie Harris plays Nelson Mandela’s second wife Winnie in Justin Chadwick’s two-and-a-half hour drama. The film has had a mixed reception from critics, with one calling it “more dutifully reverential than revelatory or exciting”. “We’ve seen the saintly Mandela we all know and love,” continued Idris Elba, who did not meet “Madiba” before embarking on the project. Nelson Mandela, now 95, was released from hospital last week after three months of treatment for a recurring lung infection. “Like everybody I’ve been very concerned for his health but I’ve been keeping optimistic,” Idris Elba told reporters on Sunday. According to Justin Chadwick, Idris Elba was the right person for the biopic despite being from England and bearing little physical resemblance to its subject. “There were other obvious choices, but Idris was the brave choice,” he said. “Idris managed to capture the Mandela magic,” agreed Terry Pheto, the South African actress who plays Evelyn in the film. Morgan Freeman, Danny Glover, David Harewood and Sidney Poitier are among the others to have portrayed Nelson Mandela on film and television. Idris Elba, whose other films include summer blockbusters Thor and Pacific Rim, has been singled out for praise by critics who have seen the film in Toronto. Mandela: Long Walk to Freedom is one of several Toronto titles this year to draw their inspiration from real-life figures. Julian Assange, Jimi Hendrix and Britain’s Got Talent winner Paul Potts also feature in films in this year’s line-up. The launch of Justin Chadwick’s film coincides with the UK release of Diana, a biographical drama about Princess Diana, that drew a withering response from the British media.